El Paso is located in western Texas. The city's the point of contact between two cultures - Mexican and U.S., as reflected in the architecture, lifestyle, customs and local cuisine. El Paso is based around the River Rio Grande. Franklin Mountains extend from north of the city, virtually dividing it into two parts. El Paso is located at 1140 m altitude. The ninety foot Wells Fargo Plaza is the highest building in El Paso. Among the top 10 highest buildings is the OT Bassett Tower, built in 1930. It also impresses with its design and architecture. On the territory of El Paso is one of the largest parks in the United States called Franklin Mountains State Warriors Park. In its borders there are great conditions for hiking, mountain biking, picnics and scenic driving. In Franklin Park is evidence proving the existence of humans there 12, 000 years ago. In the city, there are several schools - El Paso University of Texas and Texas Tech University of Health Sciences. Among the sights of the city is the historical and cultural museum, located on the campus of the El Paso University of Texas. The research center has exhibits from the fields of paleontology, geology, ethnology and archeology. In the green zone of the Chihuahuan Desert Gardens, visitors can see over 600 species of plants. The El Paso Archaeological Museum tells of the household and historic details of the first inhabitants of the area. It sets out many ancient objects of the paleo-Indian Ice Age hunters. The museum is located in the North Franklin Mountain. You can see unique works of many talented artists there. The museum of Art, located near Plaza Theater, is visited by over 100, 000 people annually. Other interesting museums are the military fort and its affiliated research centers (Fort Bliss Museums & Study Center), Science Museum, National Border Patrol Museum, Museum of railways and transport and the Museum of the Holocaust. The church of St Patrick is located in the heart of Downtown and is among the most beautiful buildings in El Paso. The city is the sixth largest by population, in Texas. It is a regional center of El Paso County. Its population is 650, 000 people. 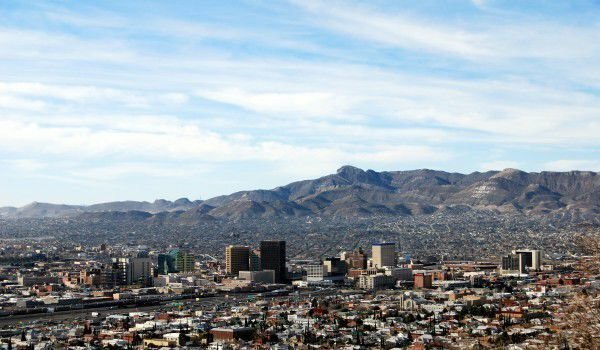 El Paso is the second largest city on the border between the U.S. and Mexico after San Diego. It was established in 1850. El Paso is located near the Mexican city of Ciudad Juárez. The Ciudad Juarez Mountains create a magnificent image of the American city. The area borders with the Chihuahuan Desert. Near El Paso are the picturesque American cities of Phoenix - Arizona, Santa Fe - New Mexico, Denver - Colorado, and the Mexican Chihuahua and Hermosillo.